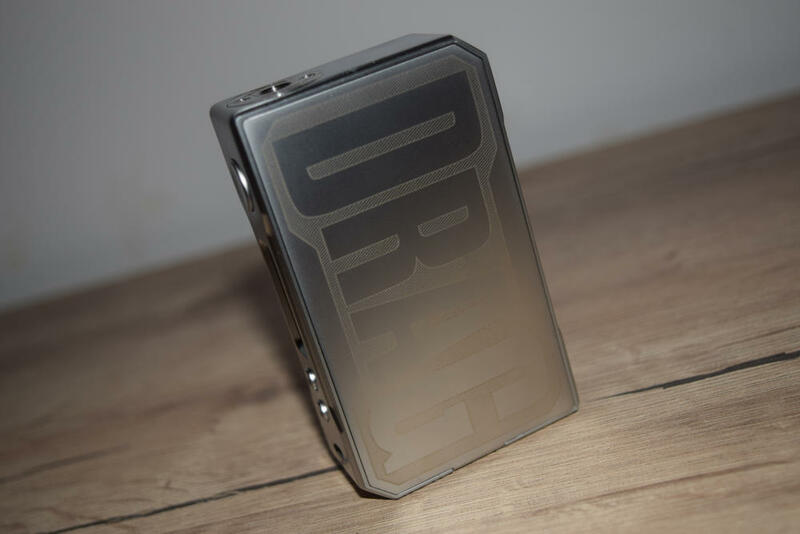 The VooPoo Drag 157W box mod was one of the biggest surprises of 2017. 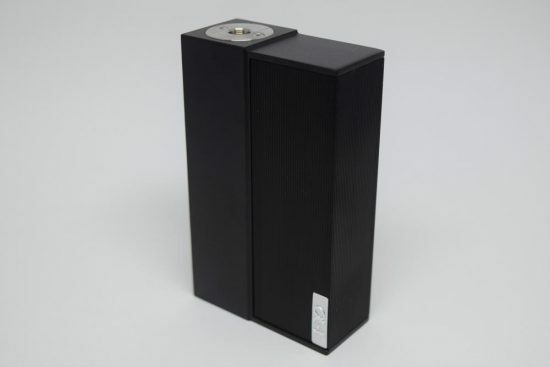 Designed and manufactured by a funny-named company that no one had really heard about, it managed to impress both through ts performance and the solid build quality. 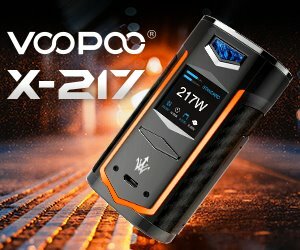 With the launch of its new Alpha One 222W mod, VooPoo hopes to convince consumers that it’s not just a one-trick pony, but a serious company looking to leave its mark on the world of vaping. Featuring the same impressive Gene chip as the Drag, and sporting a considerably higher power output, the VooPoo Alpha One certainly looks interesting on paper, but how does it fare in real-life vaping conditions? Read our review and find out. 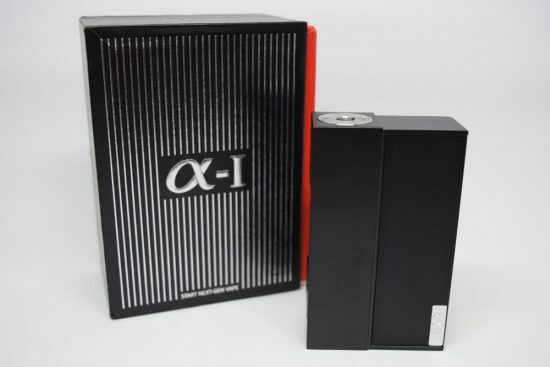 The VooPoo Alpha One comes in a really nice cardboard drawer box, with the Alpha One (α-I) logo on the top, and a list of kit contents, some legally required warnings and an authenticity sticker on the bottom. The contents of this kit are not particularly impressive, but then again, mods rarely ever come bundled with truly interesting accessories. The Alpha One comes with a micro-USB cable for charging and firmware upgrades, a used manual and a warranty card. It’s pretty much the standard bundle for mods these days. 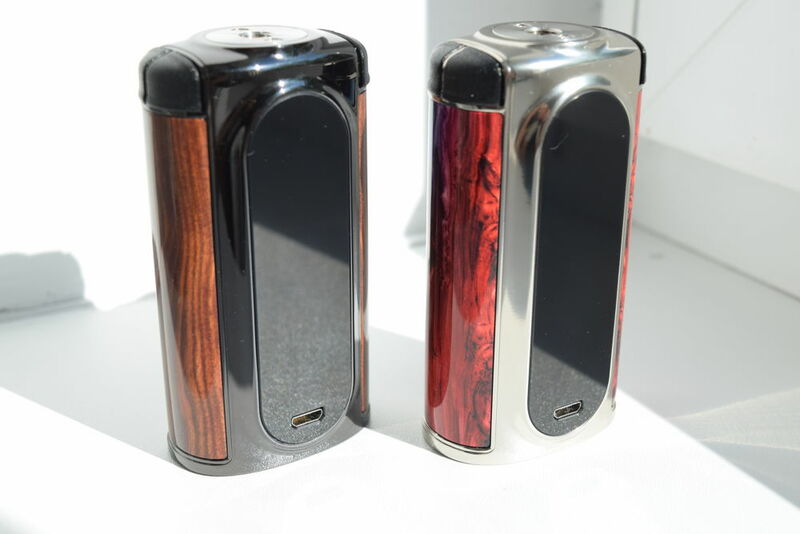 The VooPoo Alpha One is made of zinc alloy and aluminum alloy and measures 89.5 x 54 x 25 millimeters, which puts it in the “large” category of mods. 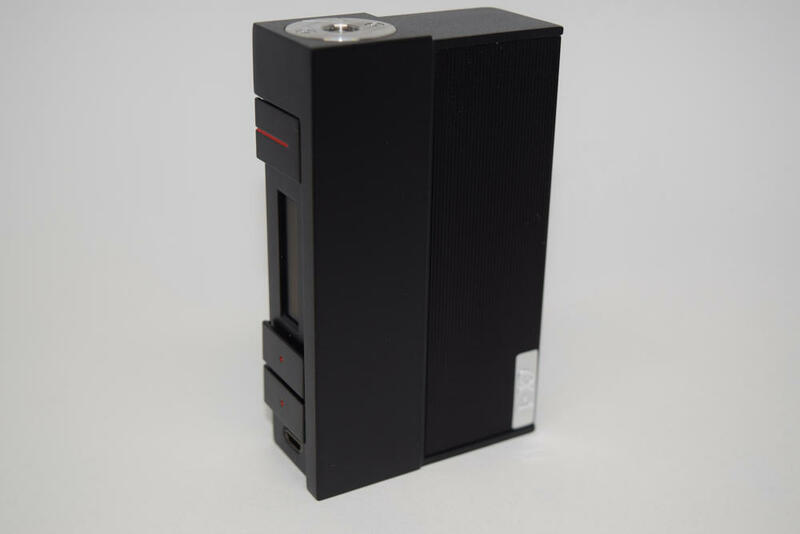 However, it is considerably lighter than most other devices of comparable size, including the Drag 157W. VooPoo claims that they’ve been able to reduce the weight substantially thanks to “breakthroughs in molding and machining techniques that solve the deformation problems normally experienced with wall thicknesses below 1.2 mm”. So they basically made the metal frame thinner, but not necessarily weaker. In terms of design, the Alpha One is a classic, rectangular box mod with some retro elements reminiscent of 80’s technology, like the Walkman and the VCR. The texturing on the sleeve-like battery door, the rectangular buttons with their clean red indicators and even the large display all remind me of my childhood gadgets, which probably makes my opinion subjective. 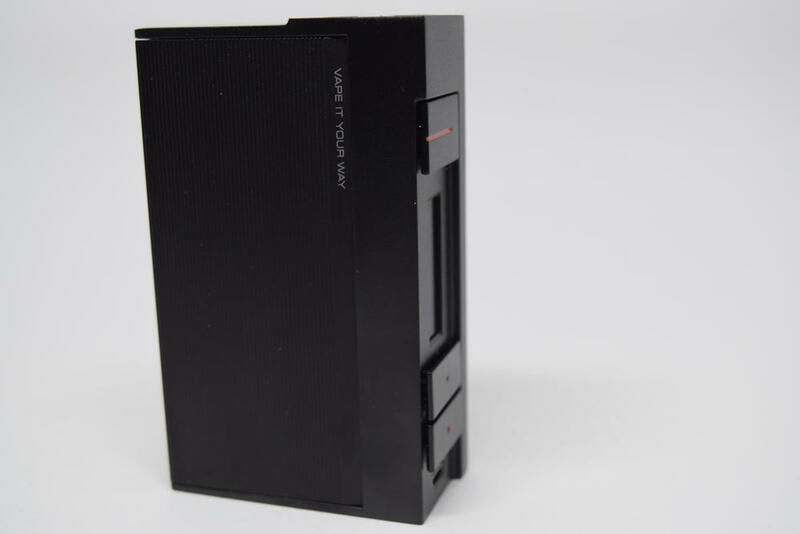 But even if you didn’t grow up with a Walkman, if you love clean lines and minimalist design, I’m sure you’ll fall in love with the design of the VooPoo Alpha One. The 510 connection is located on a small platform, and has a metal ring that prevents accidental scratching when you screw and atomizer on too tight. 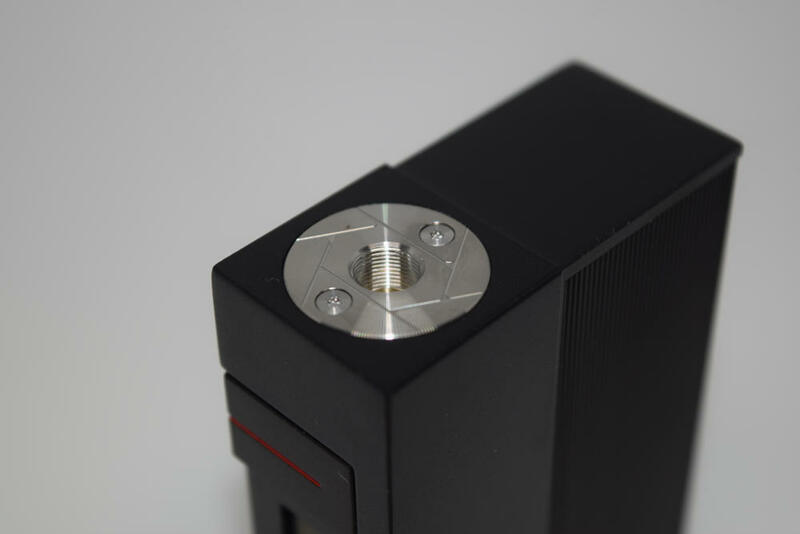 Like the one on the VooPoo Drag, the ring is attached to the mod with two screws, so you needn’t worry about it coming off if you pull on your RDA too hard. The pin has a lot of travel to it and is made of gold-plated brass for improved conductivity. All the atomizer I’ve tried on this device sit perfectly flush, and as long as you don’t use anything over 25 mm in diameter, you should have no problems with overhang. 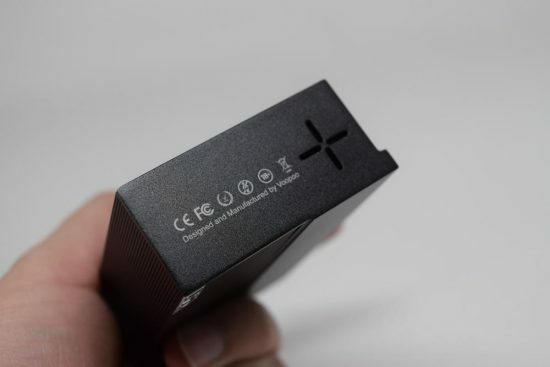 The body of the VooPoo Alpha One is made of zinc alloy, but the textured sleeve that acts as a battery door is actually made of very light aluminum. It actually feels a bit flimsy in the hand, like plastic, but that thing is as tough as VooPoo claims it is. I tried squeezing it in my hand, just to see if it bends, but I couldn’t do it. 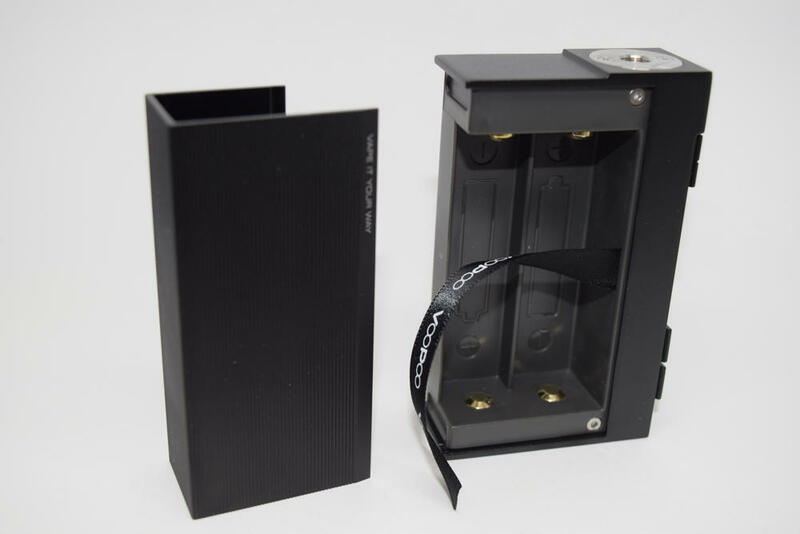 The two magnets connecting the battery cover to the mod are strong enough to hold it in place and prevent any rattling, but you can pull it off without having to flex your muscles too much. The battery compartment is very spacious, making inserting and removing the batteries very easy. Polarity indicators are very large, and even if you somehow put the batteries in the wrong way, the mod does have reverse polarity protection. 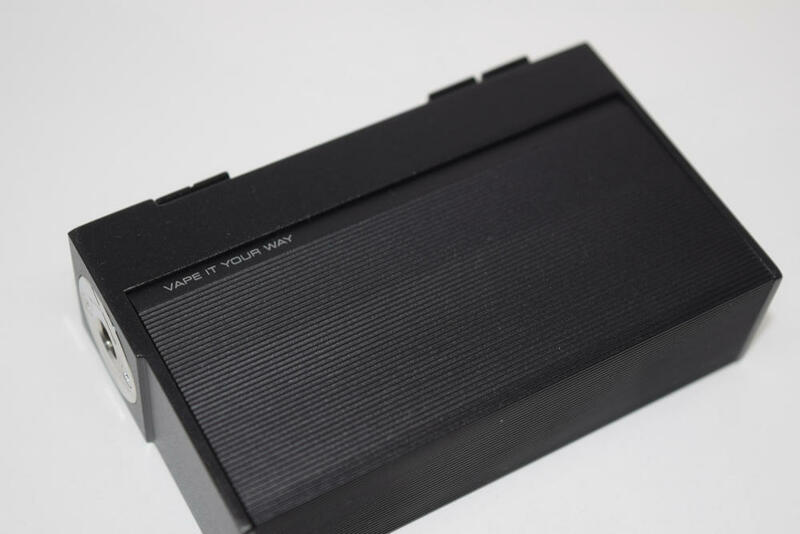 The battery slots are made of plastic, and the sleeve-like cover is insulated on the inside to prevent short-circuits, in case the wrapper of your battery is damaged. The front of the device, or the control panel, is definitely the most impressive looking part of the VooPoo Alpha One. I just love the clean lines of the buttons, the L-shape frame and how the classic rectangular LED display fits into the overall design. The buttons appear to be detached from the mod on one side, but, interestingly enough, that’s where they are most rigid. So rigid, in fact, that they can’t be pressed down. That’s actually one of the main gripes I have with the VooPoo Alpha One. The buttons only work when pressed in the center or on the right side. Even though they look detached on the right side, nothing happens when you press them. That is especially problematic if you are left handed, as the tip of your finger falls more on the right side of the buttons, but even for right-handed users, trying to press the fire button can be very frustrating. Its rectangular shape aligns perfectly with the frame of the mod, so you sometimes find yourself looking for it with your finger, and even pressing on the frame by mistake. And as much as I love the look of the VooPoo Alpha One, I can’t help but cringe at how un-ergonomic it actually is. 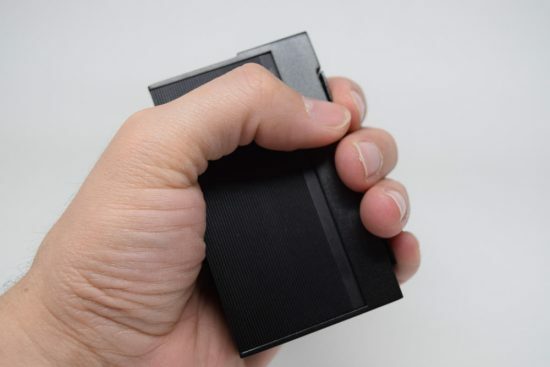 Large box mods are usually not the most comfortable to hold in the hand, but this one is particularly bad. It has no beveled edges, only straight ones and the corners are actually pretty sharp. Not sharp enough to pierce your skin, but you can definitely feel them pushing against the palm of your hand while you’re holding it. Compared to other dual-battery mods, like the SMOK Procolor, Smoant Charon TS and even the VooPoo Drag, the Alpha One is really uncomfortable in the hand. 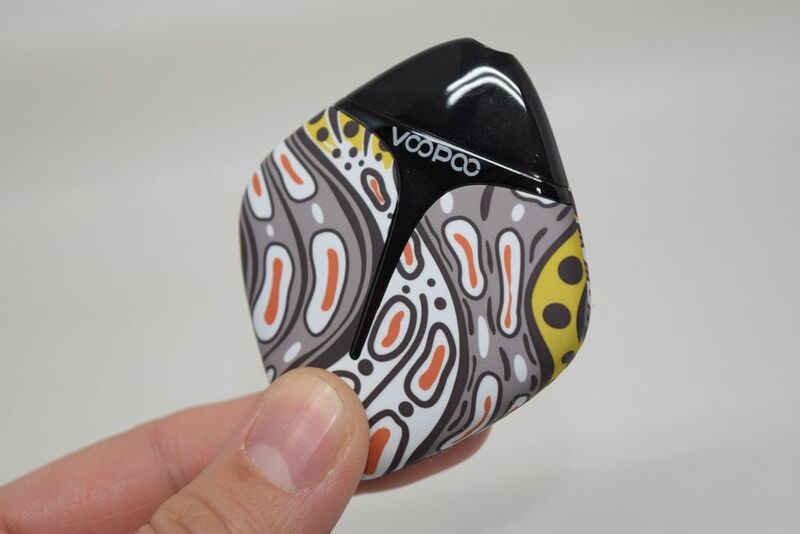 To be completely honest, I do have small hands, so holding the VooPoo Alpha One is particularly uncomfortable for me, but the fact remains that VooPoo could have done a much better job with the ergonomics, even if it meant compromising a little on design. Overall, I was really impressed with the general look of the Alpha One as well as the build quality, but the clunky buttons and the complete lack of attention to ergonomics were a disappointment. Don’t get me wrong, the VooPoo Alpha Drag is not unusable, I’ve been vaping on it for the past two weeks, but it just doesn’t feel as nice in the hand as most of my other devices, and that’s a shame. The VooPoo Alpha One is powered by the same Gene chip in the Drag 157W, so both the menu and the navigation are very similar. They’ve added a couple of new features though, and the power output is significantly higher on this one, so I wouldn’t really call it a Drag in new drag (sic). If you’ve never used a VooPoo advanced mod before, getting used to all the button combinations required to access and customize the various settings can be a little tough at first, because they are a quite a bit different than those used by most other companies. To turn the device on and off, you have to press the fire button five ties in rapid succession. To switch between power mode and temperature control, just press the fire button three times rapidly, but keep in mind that once in temp control, you have to press the button three times again to scroll through all the supported materials (Ni200, titanium and stainless steel). To lock all the buttons of the Alpha One, simply keep the power button and the “up” button pressed for a couple of seconds, and to switch the orientation of the display, keep the power button and the “down” button pressed. These are all things you can do on the home screen of the VooPoo Alpha One, but it also has an actual menu that can be accessed by keeping the “up” and “down” buttons pressed for 2 seconds. The options available here depend on what mode you are accessing it from. If you are in power mode, you will have a “W” icon which just takes you out of the menu, an “M” icon for Memory mode, which we’ll get into later, “LOVE” which enables the Love feature, “W->V” which displays the voltage instead of the wattage on the screen of the mod, “SN” for serial number, and a computer disc icon which shows you the current version of the firmware. In temperature control, the “LOVE” and “W->V” icons are replaced by an Ω symbol, which allows you to change the resistance of the atomizer – something I don’t recommend you do, ever – and and the symbol for Fahrenheit, where you can set the TCR for the material you are using. This is also a feature I don’t usually mess with, but some people seem to like the option to tweak the temperature coefficient for various grades of stainless steel and other temp. control materials. The 5 available Memory Modes allow users to create custom power or temperature curves to personalize their vaping experience. 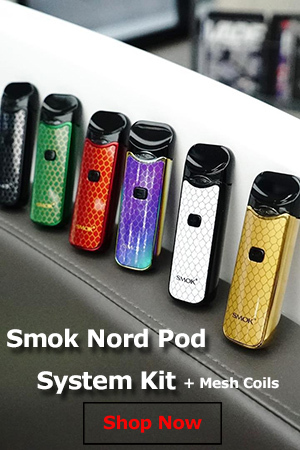 While in one of the memory modes, just press the fire button four times in rapid succession, to access a graph where you’ll be able to set the wattage or temperature for the first 10 seconds of vaping, in one second increments. Every block represents one second, and you can scroll through them by pressing the fire button. Once you’re done setting the values for all blocks, long-press the fire button to get back to the home screen. The Love mode is a new feature developed by VooPoo for high-wattage vapers. According to the company’s official website, “with LOVE pulse, waved output provides longer vaping time and gives you a more gentle experience under high power”. So it’s basically a pulse feature for high-wattage vaping. When turned on from the menu, it only becomes active at 160W and higher. If you try it and don’t like it, you can simply disable Love mode from the menu. Like the VooPoo Drag 157W, the Alpha One comes with a companion app, which can be downloaded from the company’s website. After installing it on your computer and pairing it with the device, you can do a series of customizations that are not available on the interface of the mod, such as adjusting the brightness of the display, replacing the default warnings with custom ones and changing the welcome message you get when turning on the Alpha One. There might be other options available, but I didn’t spend too much time playing with the app since all the options don’t really affect the performance of the mod. The Gene chip adopted by VooPoo has already received lots of praise from the vaping community, and for good reason. It’s what made the Drag such an impressive device when it came out, about six months ago, and it performs beautifully on the Alpha One. One of the best features of the Gene chip is the smart resistance reading. Whenever you replace an atomizer, the mod will detect the change and ask you if it’s a new coil. Once you confirm by pressing the “up” button, it will adjust the wattage accordingly. It will always set a conservative value for the resistance, because its main purpose is to make sure that you don’t accidentally burn the wicking by applying to much power to it. However, you can adjust the power output manually to whatever you like. Smart resistance reading is a great feature to have, but I personally think it worked a little better on the VooPoo Drag. The thing I don’t like about how it was implemented on the Alpha One is the very low tolerance to resistance changes. As you know, the resistance of an atty can sometimes fluctuate by 0.1Ω. It’s not a big deal, but every time that happens, the mod asks you if you changed the coil, and you always have to press “down” to be able to vape on it again. If you press “up”, telling it that it is a new coil, it will adjust the power output again. This has been happening a few times a day during the last three weeks, and it’s getting kind of frustrating. Hopefully, VooPoo will increase the tolerance a little bit, so that the mod ignores these insignificant changes in resistance. Another great thing about the Gene Chip is the firing speed. 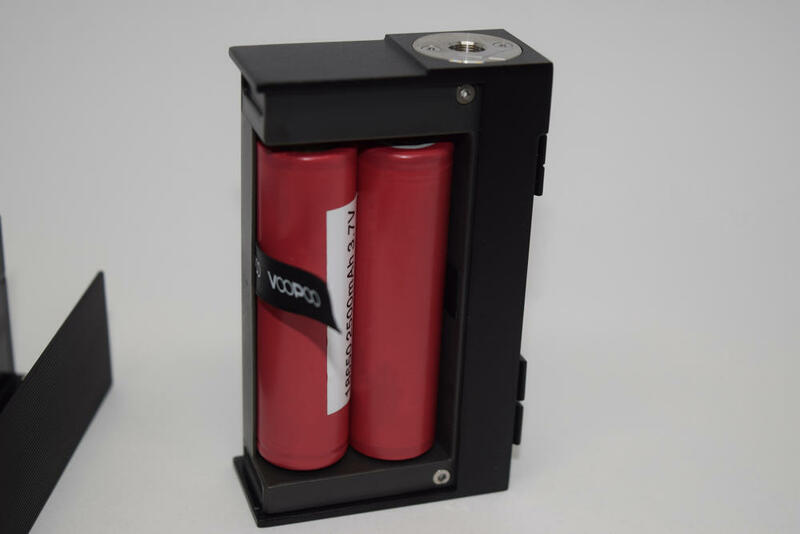 VooPoo claims that it only takes 25 milliseconds for the mod to activate the battery once you press the fire button, which is virtually instantaneous. 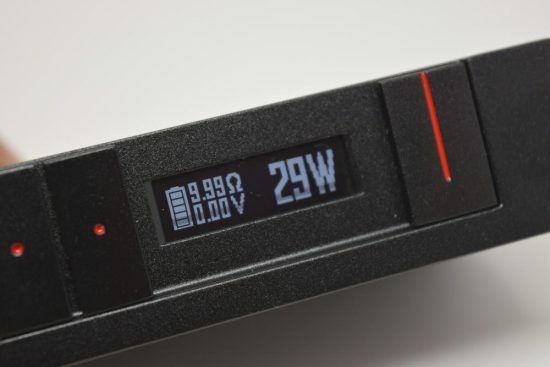 The power ramp-up is impressive as well; the mod goes from 0 to whatever high wattage you have almost instantly, which really can;t be said about all other mods I’ve tested in the past. I’ve mostly been using the VooPoo Alpha One in regular wattage mode and memory mode, and the experience has been fantastic in both. If not for the frequent “old coil/new coil” message, I would go as far as to call it flawless. The power output is very accurate, the coil heats up instantly, and the custom curves work great. I can’t tell you too much about my experience with the new Love mode, simply because I’ve never had to use it. I rarely go over 100W, so 160W is way too much, but I’m sure high-wattage vapers will appreciate the option. The same goes for temperature control. While I completely understand why a lot of people like it, I’m not a big fan of it myself. I like raw power, but after taking a look at what other people are saying on Reddit and vaping forums, the Gene chip appears to do a good job of controlling the temperature regarding of what material you are using. The VooPoo Alpha One also features fast charging and balanced charging, as well as 8 different protections, including short-circuit protection, overheat protection, low resistance protection and reverse battery polarity protection. In terms of features and performance, there’s really not a lot to complain about. Apart from the low tolerance of the smart resistance reading, the VooPoo Alpha One works incredibly well. With the new Alpha One, VooPoo has tried to improve on is popular Drag 157 mod by bumping the power output to 222W, introducing a special mode for high-wattage vaping and reducing the weight of the device for better portability. These are all great improvements, but they just dropped the ball on the ergonomics of the device. The sharp edges and corners make the VooPoo Alpha One uncomfortable to hold, and the buttons, while attractive are definitely not the most practical. Overall, I have mixed feelings about this mod. It has an elegant design, it’s packed full of interesting features and the performance is outstanding, but I just don’t like how it feels in my hand. The VooPoo Alpha One has a lot of things going for it, but if you don’t really care about the increased power output, I would definitely recommend buying the VooPoo Drag 157W instead. It has the same superb chip, most of the features included on the newer device, and it’s a lot more comfortable to use.